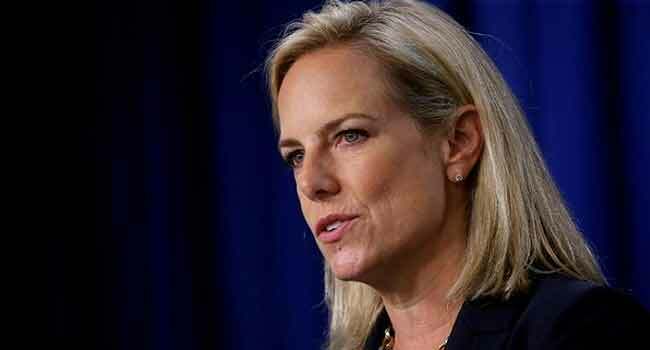 Homeland Security Secretary Kirstjen Nielsen speaks at the Immigration and Customs Enforcement agency (ICE) headquarters in Washington. The Trump administration said on Thursday it would allow some 500 Somalis to remain in the United States for at least another 18 months under protected status given violence in their home county. Somalis in the United States with Temporary Protected Status will be able to re-register for an extension of their status through March 17, 2020, according to a statement from the Department of Homeland Security. The status grants beneficiaries the ability to legally work while they are in the United States.